This topic contains 6 replies, has 6 voices, and was last updated by Stacy 5 months ago. Enter one photo per month by uploading your photo below. There is a 8MB file size limit for uploading. You may have to resize your photos OR you can upload them to another photo sharing service and then use the sharing links provided by that service to post your photos on the forum. If you don’t want to sign up for a free flickr account you can email the photo to: crabstreetjournal@gmail.com with your Name and Title in the Subject and Description in the Body of the email. Someone will manually add your photos to the thread. *Submissions must be in by midnight CST on the last day of each month. Photos submitted may be featured in our magazine as well. By entering this contest you are granting CSJ permission to use your photos on the site and in the magazine. Winners will be awarded a prize that will be mailed to their home. If you are a under the age of 18 make sure your parents are willing to grant CSJ admin permission to mail your prize to you. You are eligible to win prizes once every 90 days per contest. December runs one year behind to allow us to have our calendar ready for purchase before the end of the calendar year. December 2017 photos will be voted on this month as normal and the winner of that vote will be the December crab for the 2019 calendar that will go on sale late December 2018.
admin from previous entries to fill the vacant spots. The photo for the cover of the annual calendar is also chosen by vote. All of the monthly winners will be entered in the year end voting, including the December winner. The winner of Cover Crab is awarded with a free copy of the calendar. Anyone may purchase a copy of their own from our Cafepress store. Items featuring individual winners will be available for sale as well. You can request your photo on a specific item by contacting CSJ Admin. This reply was modified 5 months ago by Amanda Fields. 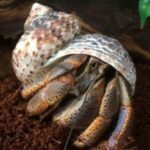 The topic ‘2018 November Calendar Crab’ is closed to new replies.